Spectacular sports bar with big screens and great food for the Super Bowl. This Sunday is Super Bowl XLVII or 47 for those of us who don't remember our Roman Numerals. It will be held in New Orleans at the Mercedes-Benz Superdome. The Super Bowl is the most watched annual television event in the United States. It is not just about the football game. There is Alicia Keys singing the National Anthem, the top-secret commercials, Beyonce's half-time show and the getting together with family and friends. It is the second-largest day for U.S. food consumption, after Thanksgiving Day. People have talked for years about the fact the Super Bowl is sort of an extra national holiday in the United States. 1.5 million people called in sick last year on the Monday after. An electronic petition has been sent to the White House to declare the Monday following the Super Bowl a national holiday. By doing so, the Obama Administration can promote camaraderie among the American people, keep the streets safer for our children on Sunday night and Monday morning, promote a productive workplace when work resumes on Tuesday, and honor the most popular event in modern American culture. Here are some great local places to celebrate Super Bowl Sunday. They feature 50 video displays. Each booth has its own individual monitor to watch the game. Changing Times Pub 1247 Melville Road, Farmingdale (631) 694-6462 They have food and drink specials for the game. They have the largest selection of craft beer and imports, world famous wings and game specials. Real fans enjoy their web site, app as well as their flat screen TV's. The perfect spot to down a pint and watch the game on their 20 large screen TV's. Their motto is "There are no strangers here, only friends who have not yet met." Champions 101 James Doolittle Boulevard, Uniondale (516) 229-5039 You won’t miss a bit of the action when you’re watching the game on over thirty 32" flat-panel HDTVs, four 46" flat-panel HDTVs, and three 52" plasma TVs. Enjoy their "World Famous Zingers" while watching the game. The Super Bowl will be on their 18 TV's in Bose surround sound with delicious food specials. 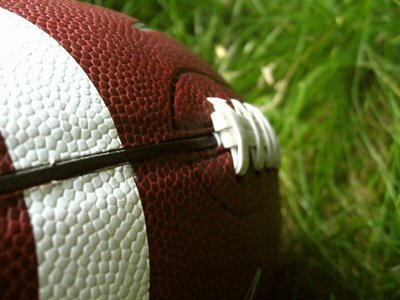 Let us know your favorite place to celebrate the Super Bowl on the Long Island.com Forum. Subject: LongIsland.com - Your Name sent you Article details of "Tuesday's Top 10: Super Places to Watch the Super Bowl"